America has very successfully marketed their life style to lure the best brains from India, especially the IIT graduates. Before getting into the honey trap, it is important to know what will be the scenario thirty years down the lane, of their lives, their parents', grand parents' and the children's fate. Our friend came for a dental check up the other day. He was going for one month to USA to his son and daughter-in-law. The son had asked him to get his teeth and eyes checked before starting the journey. If he develops any tooth or eye problem, it will be very expensive to get the treatment done there. Two of his three sons are in USA and UK. When his third son graduated, the father said," You find a job in India and stay here. Whatever properties we have, I'll give to you." Whatever the intelligence level of Indian parents, everybody wants their child to study in IITs (Indian institute f Technology). The preparations start right from school. IIT label is a sure shot ticket to USA, according to parents. And they grill it deep into the child's psyche. In vegetarian families, mothers will feed eggs and non-vegetarian food to children so that they will not have problem when going abroad. Parents, especially mothers go to great lengths to see that the child gets up early morning to start his studies and keeps an eye to ensure that he/she hasn't dozed off. If the child doesn't get into IIT in the first attempt, parents won't think a second time before asking the child to drop a year. Now for one full year the mother is on tenterhooks and on full duty, supervising the studies. So the child graduates from IIT and then he is on the lookout for the highest paying job, usually joining one which is in no way related to the subject he has studied. And off he goes to the land of milk and honey. Parents are so proud, giving parties and telling their friends of the child's achievements. When the grandchild is about to arrive, the parents are called to take care of the baby. In the US, where the public transport is non-existent, it is nearly impossible to traverse without a car, and parents are usually stuck inside – even more so if it is snowing outside. Talking to the neighbors or passersby is a strict no-no. And so the old couple remains isolated within four walls all day, until the children come home from work, too tired to spend any time with the parents. I know one or two mothers who refused to go for the delivery of the second child, having suffered enough the first time. And there are fathers who put their foot down when invited to spend more than a month abroad. Parents who are too attached to their children (and most Indian parents are) suffer deeply and fall sick because of depression. Once or twice children may visit them when they are hospitalized, but they have busy lives to get back to. We know a person who is so sick that every three weeks he needs to be hospitalized. He literally cries when that happens, 'I don't want to go to the hospital. I just want my kids to be near me". Alas! That is not possible now. In this family of two kids, parents drove into their subconscious mind that they have to go to America to settle down. And they all pitched in their full effort to make that happen. 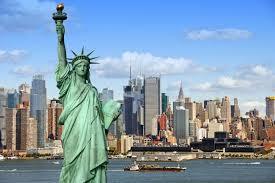 Now both the kids are well settled in USA, earning fortunes. Just because your kids are abroad, you need not fall into the abyss of depression, if you are spiritually inclined. 'Why should we expect that children should look after us in old age? Let them lead their lives, and let us spend our time understanding life and its purpose", remarked a father whose only child is well settled in America. Majority of people are not blessed with such a balanced view. So they are in agony. There are many residential colonies where old parents live, the children are all settled abroad, and passing each day is a burden for these old people. Now, raising children in the USA is an entirely different ballgame. Torn between Indian values and Western culture, trying hard to fit in with their peers, the kids usually go out of control. Indian parents believe in disciplining their kids. In USA, small kids are coached in school to dial '911' if they sense any aggression from the parents. Police will come and the arrest the parents straight away. This is just one of the differences in culture that rips an Indian parent up. Every so often, we come across yet another frustrated parent. Once during our flight back from USA, a mother with two children was sitting nearby. The boy was jumping and troubling his mother a lot. When we were nearing Mumbai, the mother caught the boy's shoulder, forced him to sit down and said, “Now this is not America. If you don't behave, I will thrash you". The agony and helplessness in her voice was palpable. During my Reiki class, a mother cried and told me," Doctor, I have only one son who is nine years old. When we come to India, he is absolutely fine. He is an active child, gets along well with his cousins and plays outdoors. 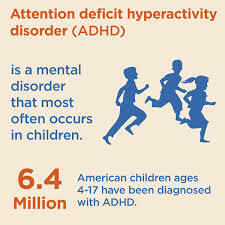 But in the American school, he is diagnosed with ADHD (Attention Deficit Hyperactive Disorder) and he will not be allowed to sit in the class unless I give him the tablet for ADHD every day. Being a doctor I know its chemical structure is similar to that of morphine. I am really worried how it will affect my child." Our colleague who chose to settle in America had to face another problem when his daughter turned 13 years. The daughter was brought up with strict Indian values. The father was called to the school one day, where he was advised to show his daughter to a psychiatrist. He was shocked," But she is a normal child." "She is a teenager now and still doesn't have a boyfriend." He immediately moved back to India, with family. Another father was having sleepless nights as his teenage daughter was being dropped home late in the nights by her boyfriends. On the pretext of granny being seriously ill, he brought the daughter to India. The moment they reached, he tore her passport and threw it away. "You are going to stay with your granny and complete your studies." Many Indians parents live in constant fear that their kids might lose Indian values. On weekends they will wake them up very early, dress them in Indian clothes and take to Chinmaya mission lectures (or something similar). Their Indian counterparts have the luxury of sleeping late on weekends. Raising kids abroad and yet expecting them to have all Indian values is largely an unrealistic expectation in the face of the peer pressure. We know many families where children retort if parents visit them without prior appointment. On losing the spouse, these American settled persons' lives become total hell. One lady was about to commit suicide due to the harsh behavior of her kids, and her sister had to rush to her rescue, taking her to her own house. 1. The generation that migrated to a foreign country may still have attachment and reverence for their parents, but they can't be of help to them in their old age, which hurts them. And when they look at their kids, "American Born confused Desis", they wonder what they have gained by having kids. 2. The parents back in India are just waiting for their last day, with unshed tears filling up their hearts. 3. And the children - well, time will tell what type of personalities they develop into. One just have to peep into WhatsApp messages where these ABCDs are proclaiming India as an unworthy place to live in. One obsession. Three generations doomed. OOps! I was wrong. It is not three generations, but four generations. I have seen that the grand parents of many who have left India are still alive here. 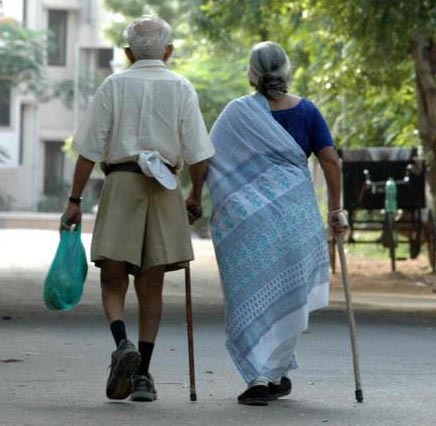 In old age, they look forward to the company of their kids (who are retired now), especially when they have to undergo surgeries or if they are bed ridden. But sadly, they have to go to USA to help their children look after the kids, and are not available to their parents. The dead reality of today's generation. i am suffering the same, with two brothers being american and myself opted to stay Indian as for the fact of parents and culture. I choosed to live in a near by country that doesn't give any nationality, hence I am prepared to go back to India anytime. This stay is just for the temporary financial boost.Although not a pleasing plan but atleast bound me to stay Indian for my life. Thanks for daring to tell the truth. If more people reveal the agonies they face, the blind obsession may be curtailed. Every single word of this article is so true. I have just been here in the States for 2 months and have already started to have the same fears for my future as illustrated above. The ending line gave me goosebumps. But even after knowing all this the obsession of immigrating to US will still continue to grow because people have the unrealistic "Hollywood" created image of the States and not the actual "not-so-fancy" working 10 hours 5 days a week back breaking image of self inflicted misery. I'm not saying don't move over here but one should only consider moving when they're ready to face the harsh consequences that come with it.